With the weather starting to share more good days than bad days with us… it is the perfect time to dust off & light up the BBQ for a bit of burger fun. And if you don’t have a BBQ – never fear… burgers taste just as good (almost) made in the kitchen too! Tine of Tine at Home has us drooling over her Juicy Lamb Burger served with marinated cucumber & honey mayo dressing. And last, but by no means least – Sylvain of Un Peu Gay Dans Les Coings serves up Mini Vietnamese burgers with noodle buns!!! 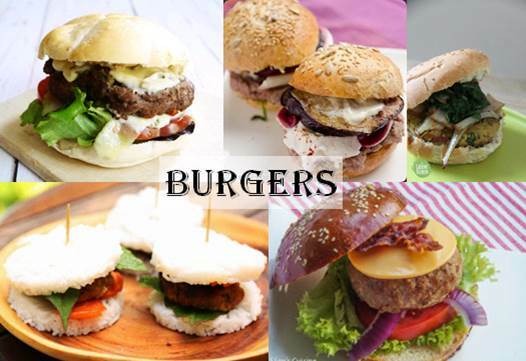 Do you have a burger recipe that you wish to share with us? Just add the link to the comments section below!